At first the thought of raw fish wasn’t completely compelling. I would eat sushi on occasion but civiche seemed like a whole lot of fish. My friend convinced me to try some at a local soda shop in Costa Rica. She piled it on a saltine cracker and topped it off with some hot sauce. To my surprise it wasn’t bad. That transpired into a civiche obsession. I literally began to crave the refreshing zesty appetizer. The juices marinating the fish actually cooks or curtirs the fish with the lime juice’s acidity. This treat is low in calories and light. It is the perfect dish for a solo lunch at home, appetizer with friends, or part of a seafood trio. 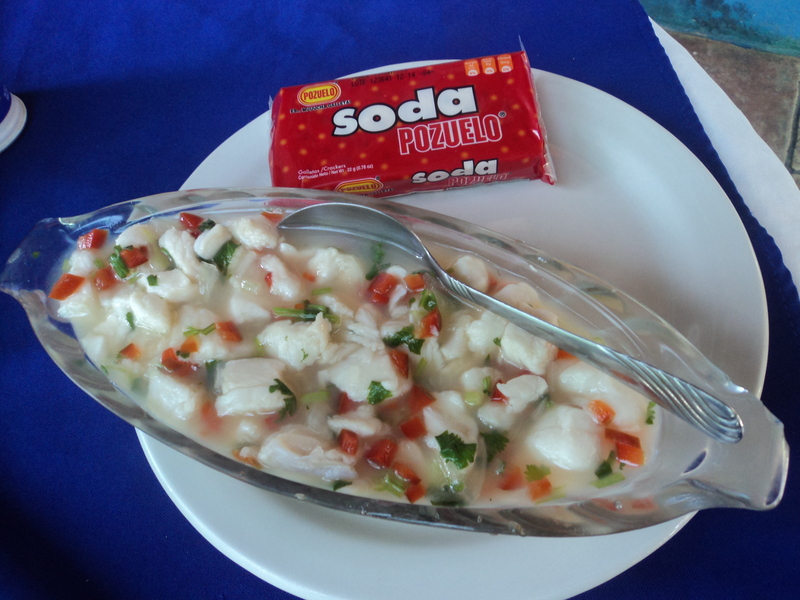 While there are many varieties of civiche which can incorporate shrimp, all types of fish, octopus, and other kinds of seafood, I prefer the classic version with a white fish. It is best to use a firmer fish such as Red Snapper. Other options I use are Makerel, Tilapia, and Mahi Mahi. Sometimes cutting the fish into cubes can be tricky. I found that using a frozen filet and letting it thaw out about 40% before cutting works very well. I run it under some warm water to reduce a bit of the frost. Then chop it into sections easily on my chopping board. I rinse it off once more after they pieces are cubed and set them aside in a bowl. Chop and combine: Cilantro, Red bell tomatoes, onions, and if you want you can add very tiny pieces of pepper. 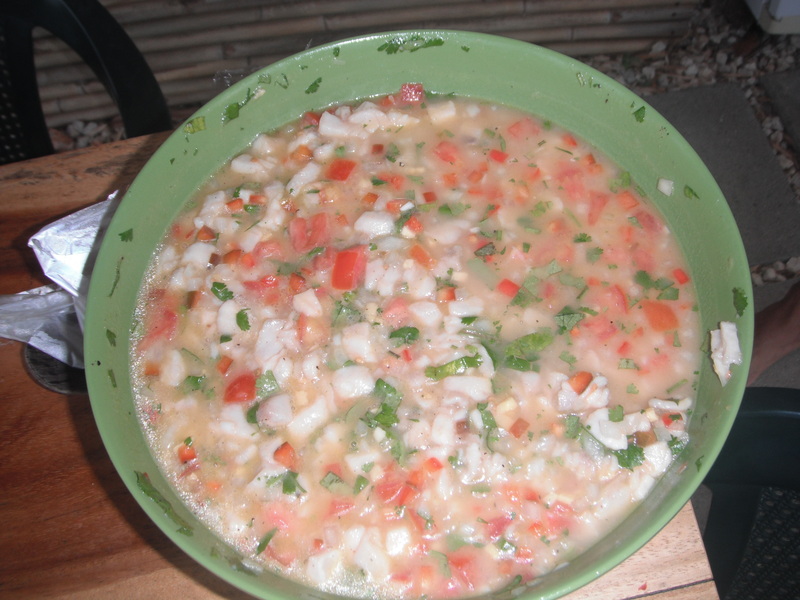 Mix these up with the fish and squeeze fresh lime juice on the fish. I normally use 3-5 limes depending on the juice content. Mix all together one last time and set it in the refrigerator to marinate for 45 minutes. Top it on some saltine crackers a dash of salt and finish with some hot sauce. If you want to exchange the saltines for another base you can use plantain chips, pita chips, or even cucumber slices. Posted on September 20, 2014 by emilyturner23Posted in Food & DrinkTagged civiche, healthy food. Next Next post: I want to go glamping! That looks very interesting. I hope it tasted good!